(Bozeman, Mt.) Today at about 2:20 P.M. a fire west of Belgrade and South of Manhattan was called in by an aircraft. 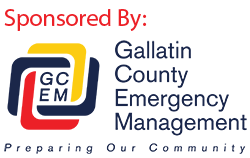 Units from Gallatin County Fire assisted by other valley fire departments, a DNRC helicopter, local land owners and the Sheriff’s Office responded. The fire was about 5 acres burning on the 320 Ranch in steep terrain. By 5:00 P.M. the fire was contained and mop up operations were underway. 3 structures were potentially threatened, 1 evacuation warning was issued. The probable cause of igntion is a lighting strike from Tuesday night. Crews are currenlty on the scene and will be there most of the night.